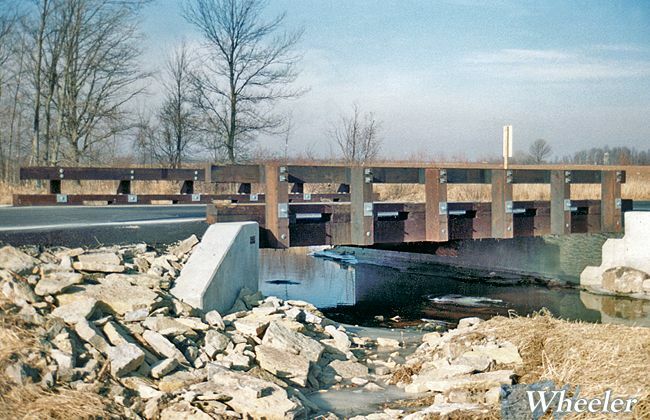 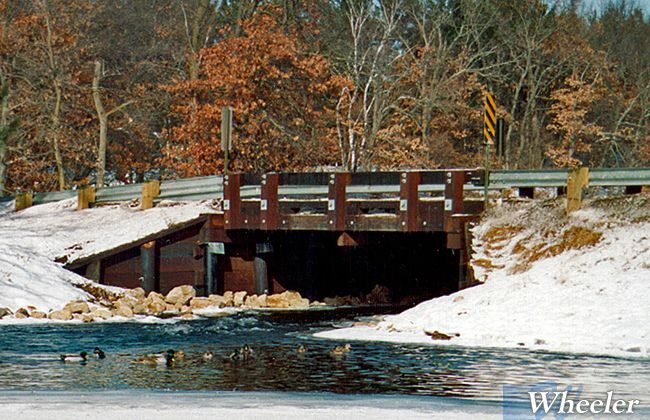 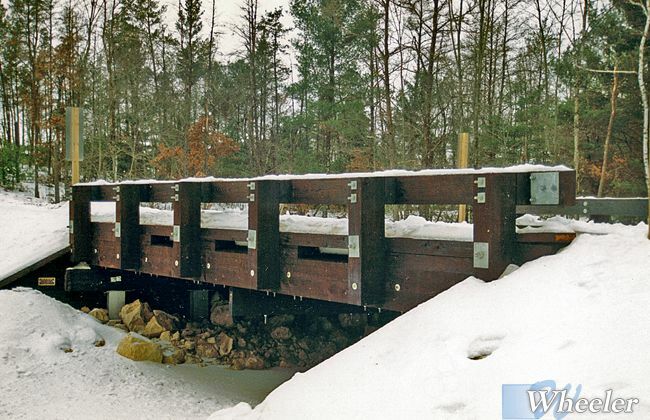 Panel-Lam Vehicle Bridges are shop manufactured kits that assemble fast in any season. 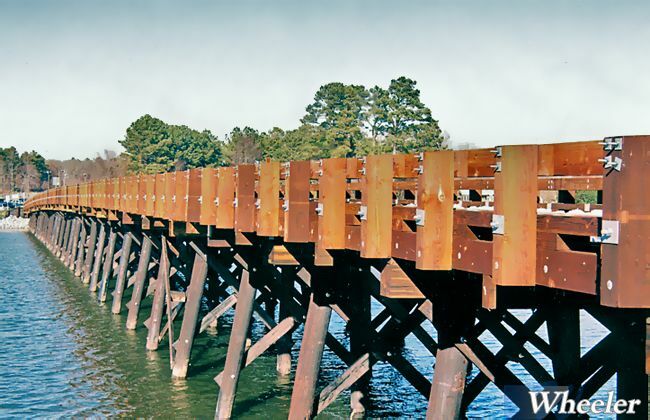 Individual structural timbers are pressure treated and dowel-laminated into panels that unload from the truck right into position. 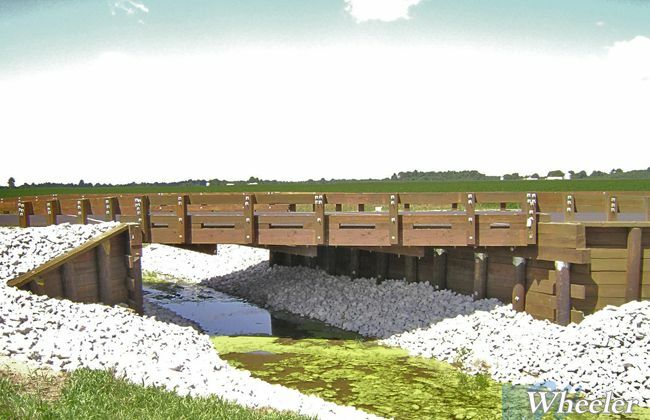 They have been engineered to lay up to 250 square feet of deck at a time. 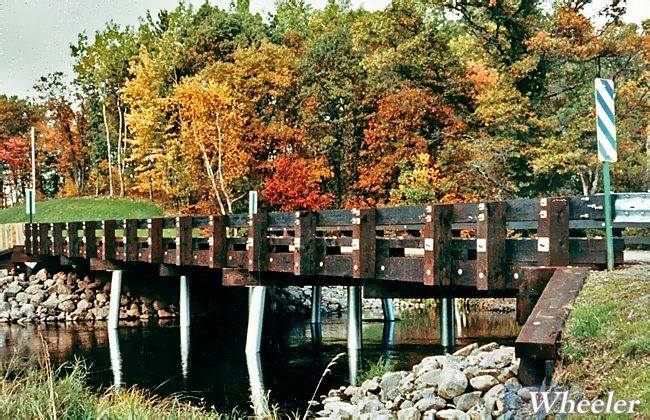 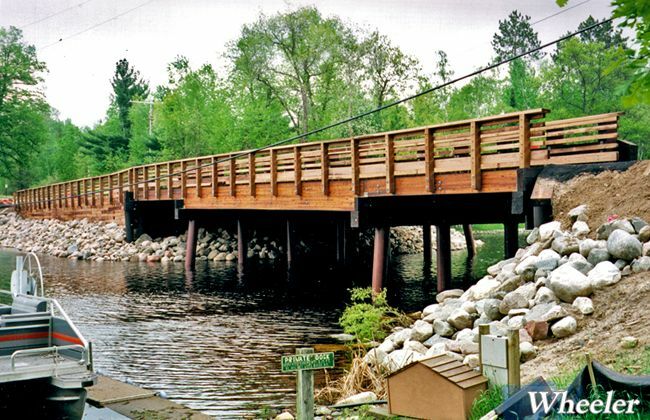 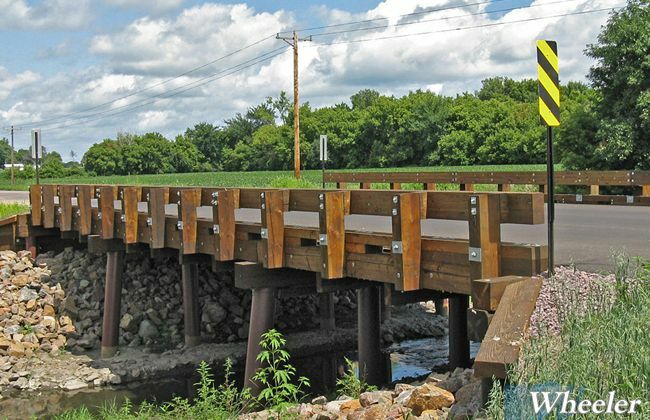 Available in single or multiple spans, with crash-tested railings and asphalt wear surface, Panel-Lam Vehicle Bridges provide added aesthetics without compromising strength or durability. 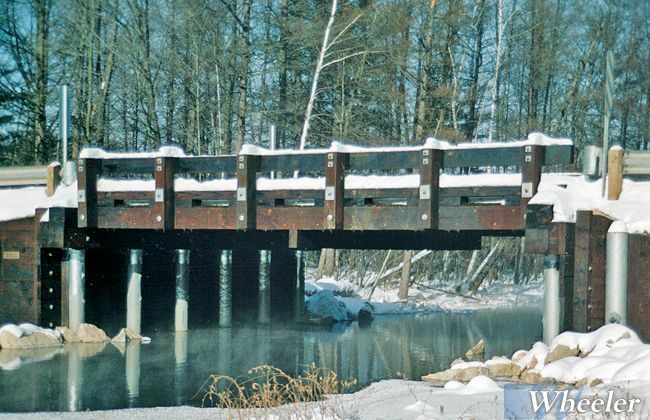 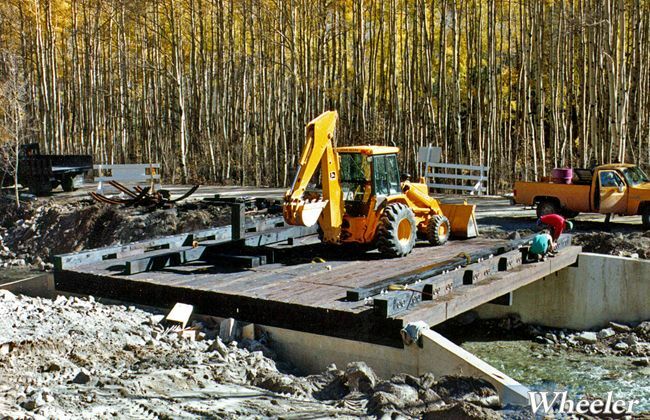 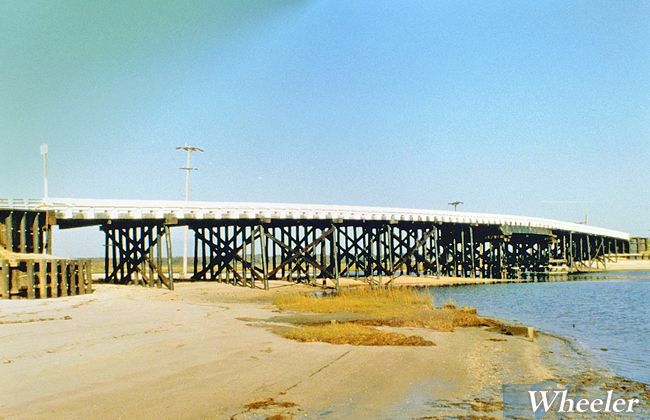 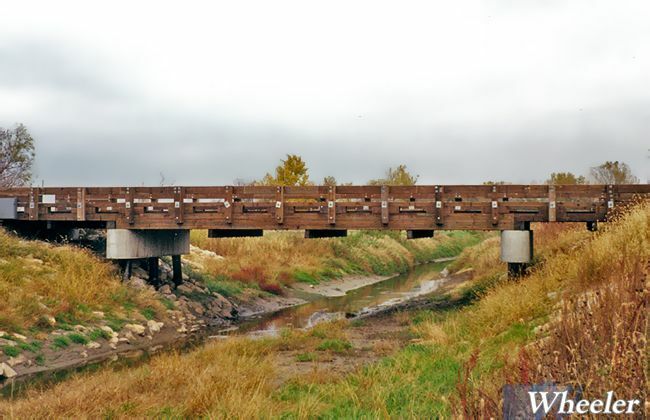 Properly designed timber bridges handle all highway loads and require little or no maintenance. 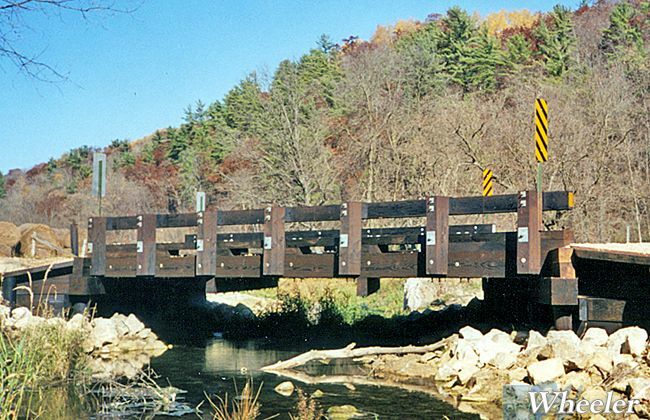 The longitudinal timber slab span requires no stringers creating a thin structure profile ideal for low headroom conditions. 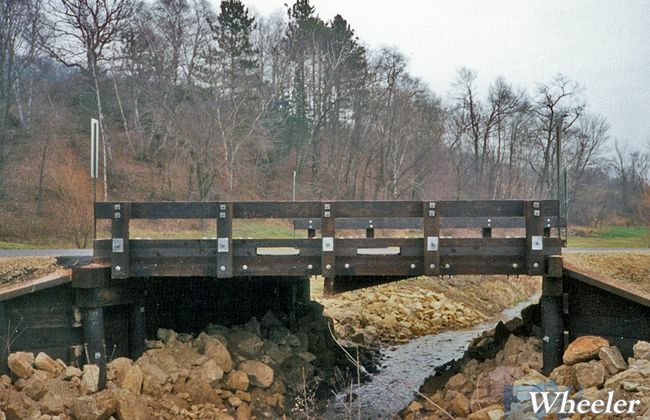 To preserve the asphalt wear surface, panels are interconnected by a ship-lapped joint and supplemented with a spreader beam to transfer loads between panels. 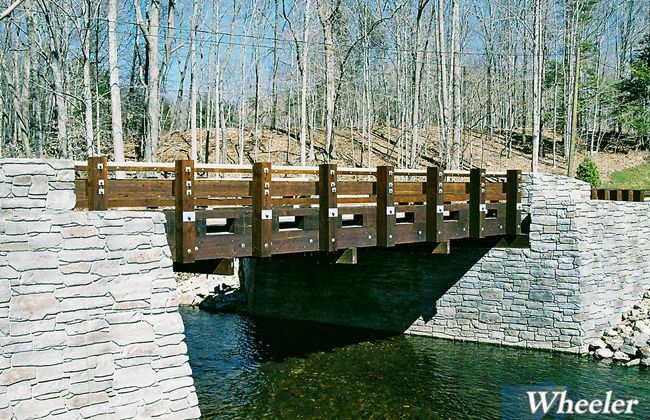 It is tough to beat the durability of properly treated wood. 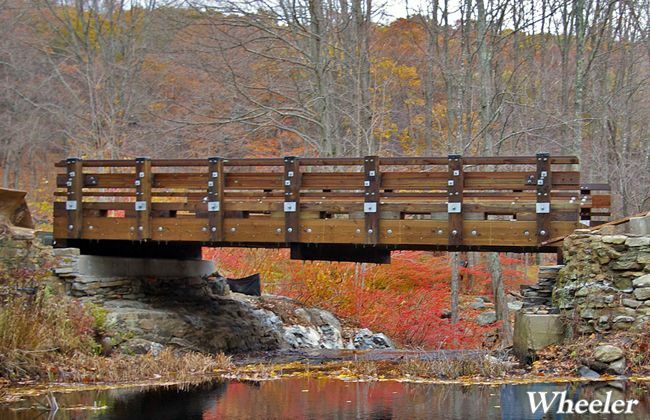 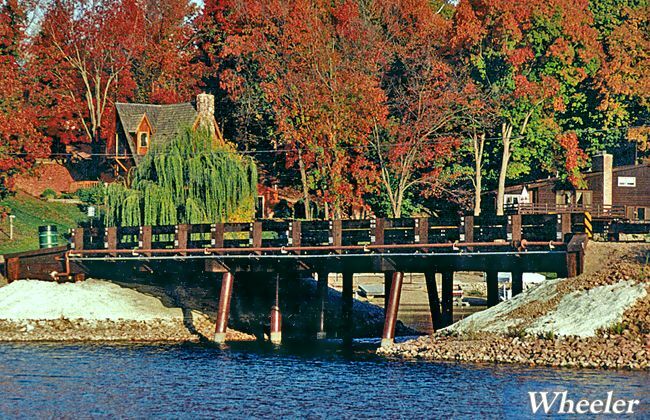 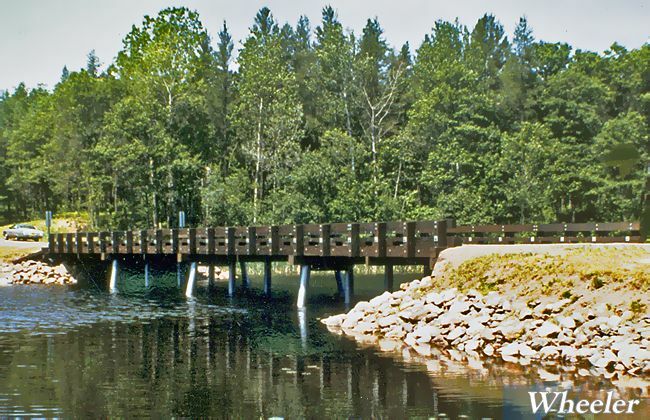 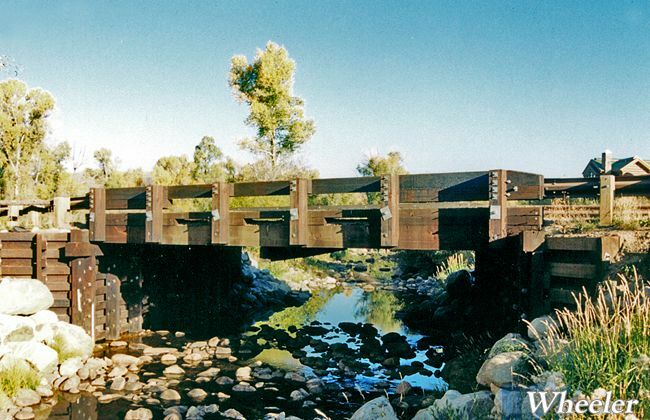 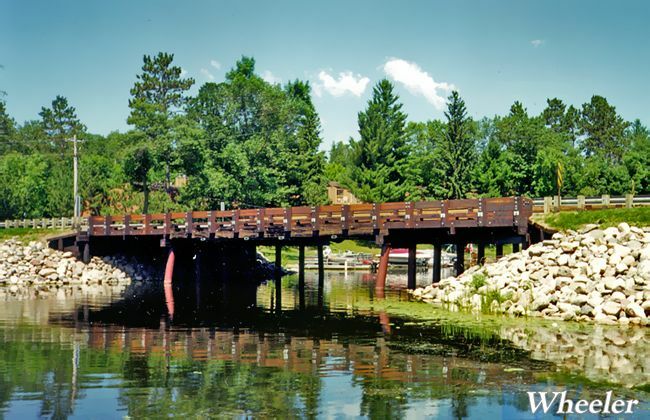 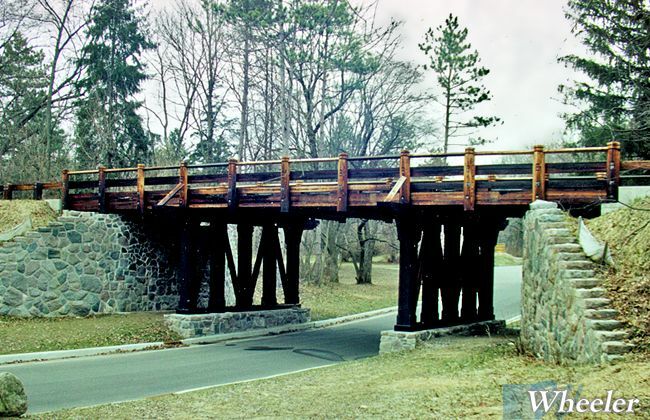 Discover the value of Wheeler timber bridges. 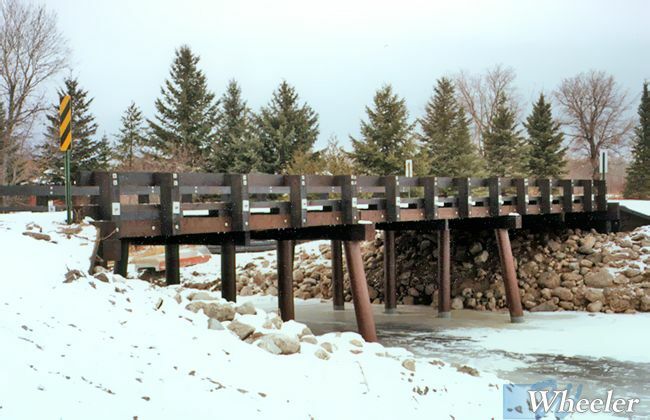 Costs for construction and design are low. 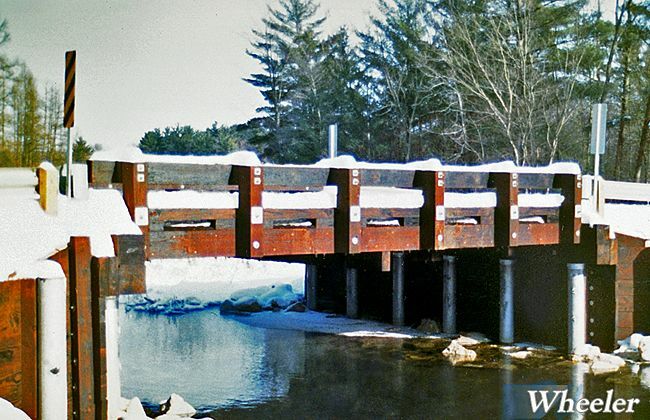 Little or no maintenance-even after 40-50 years of service. 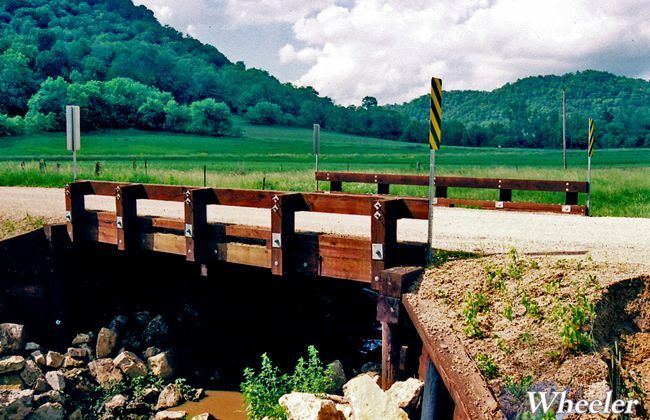 Future bridge widening is simple and inexpensive. 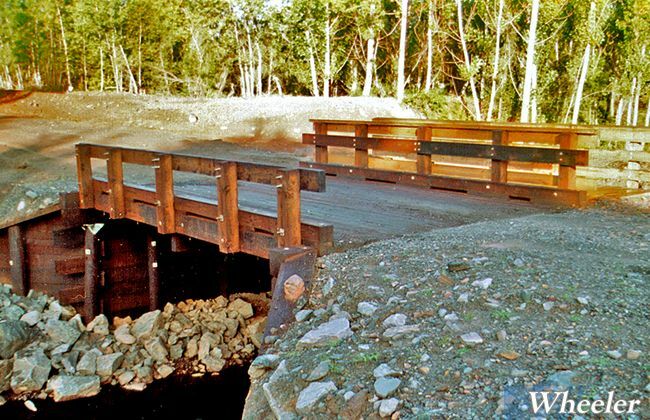 Bituminous mat can cover the deck – the same as the roadway. 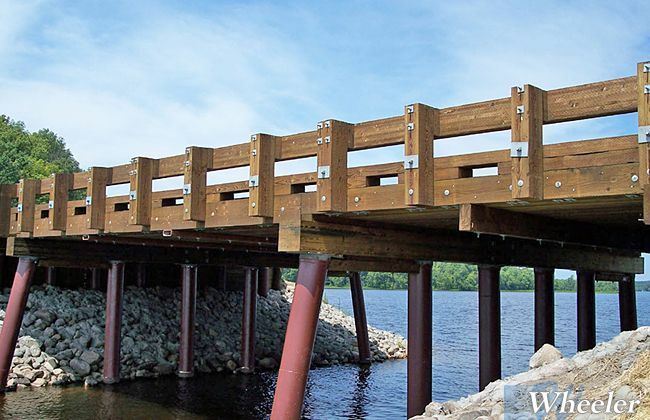 Great flexibility of design – any angle of skew. 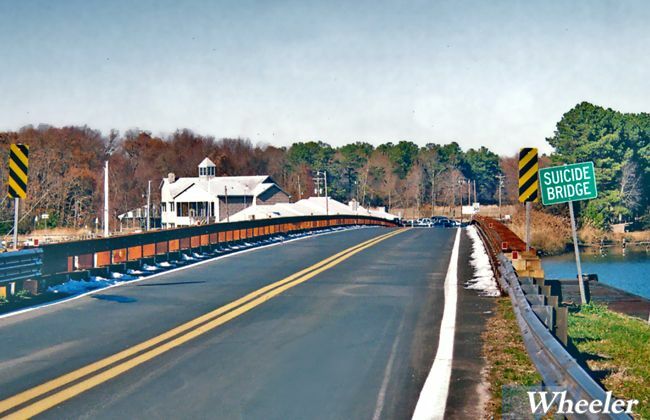 Traffic restored after only a few day’s interruption. 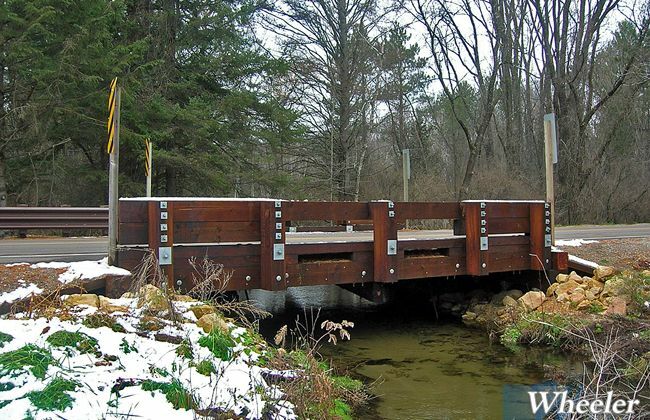 Install any time of year and in any weather. 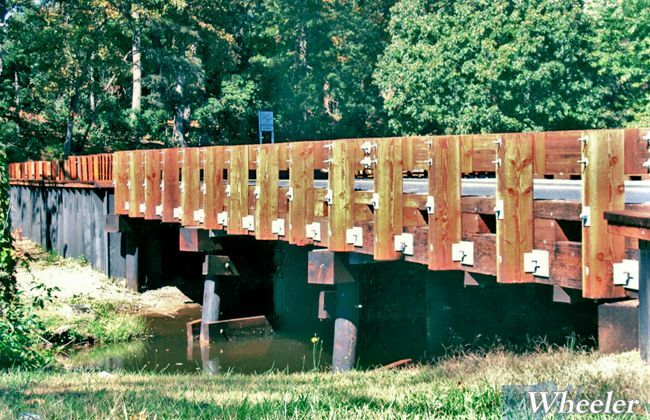 Compatible with timber, steel and concrete foundations. 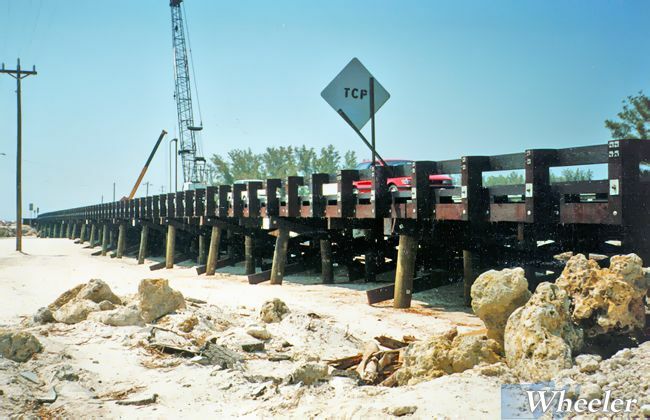 Rail system may be attached in shop for quick erection.